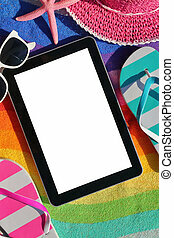 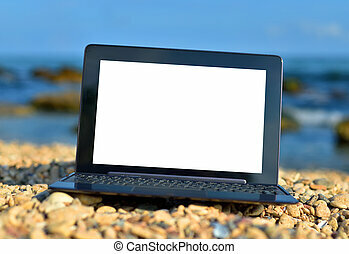 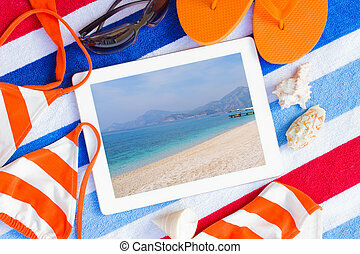 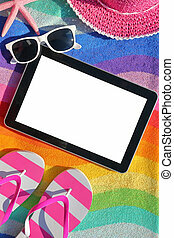 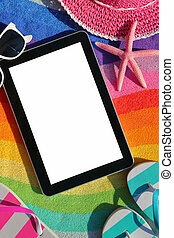 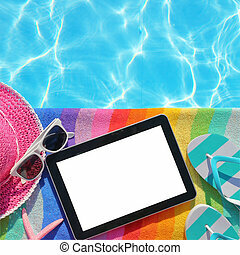 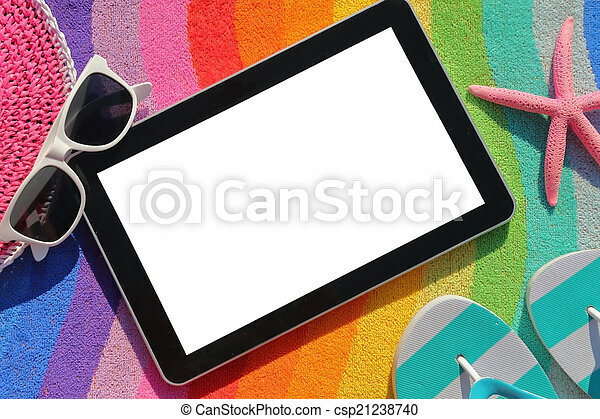 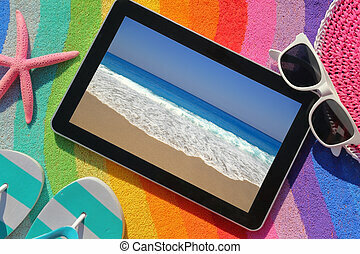 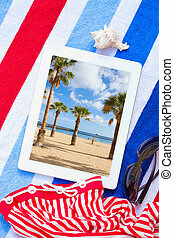 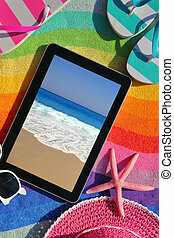 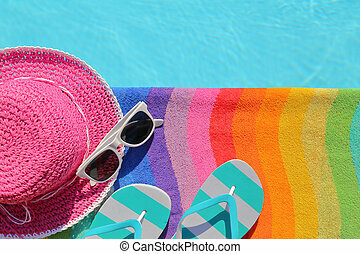 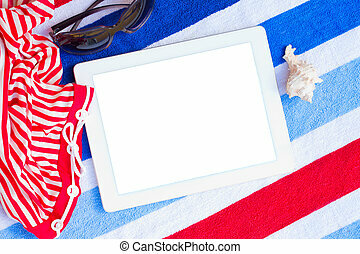 Tablet with blank screen on beach towel with accessories. 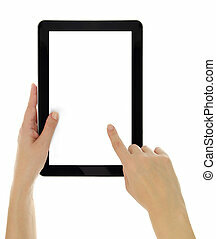 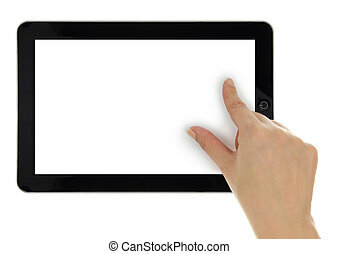 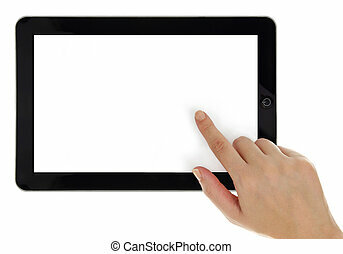 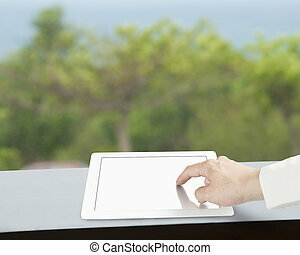 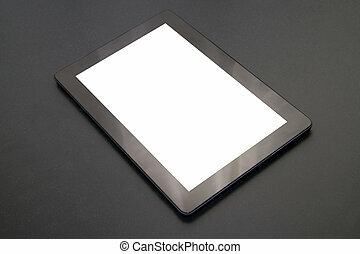 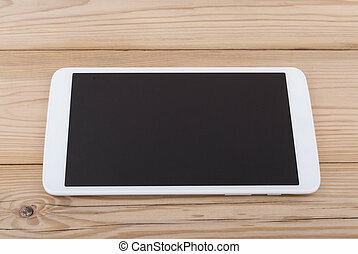 Tablet with blank white screen for your interface on black wooden table. 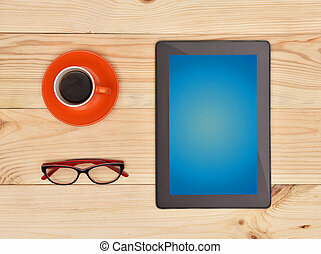 Digital tablet computer with blank screen, glasses and cup of coffee on wooden desk. 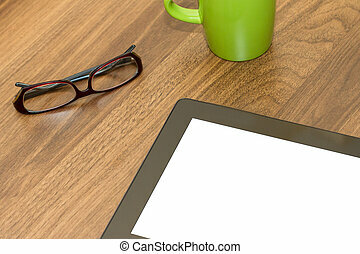 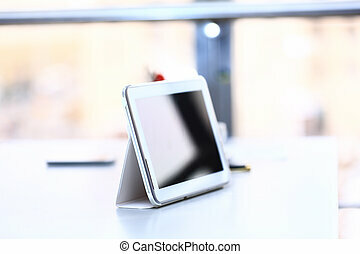 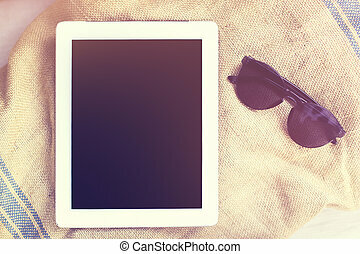 Top view of tablet with blank, white screen and coffee mug and glasses on wooden table. 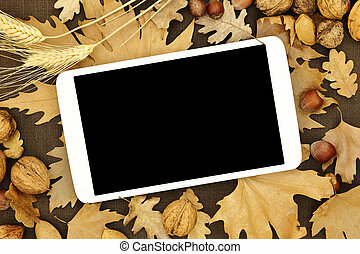 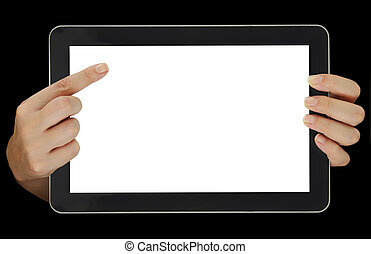 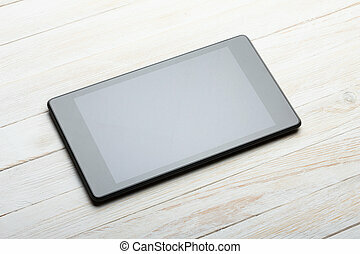 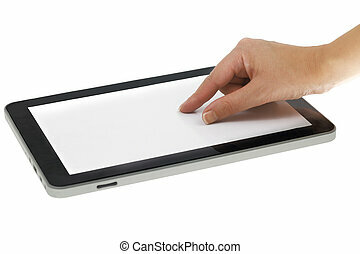 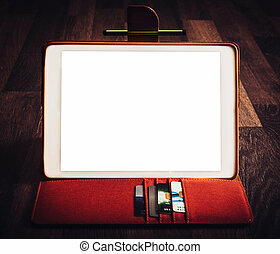 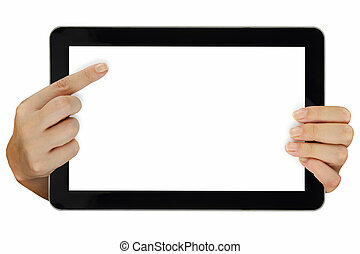 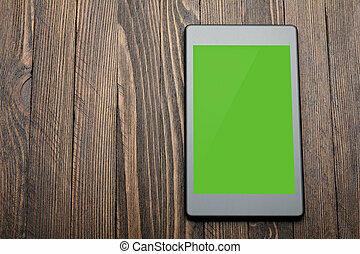 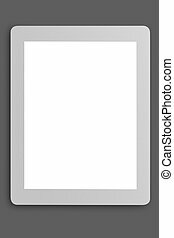 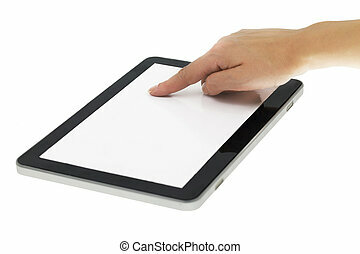 Tablet computer with blank screen on wooden background.